In the past year Fenty Beauty disrupted the makeup industry by introducing a wide range of foundation and concealer shades in an attempt to fill the needs of people of all skin tones. These consumers and their makeup needs have always existed, but brands have historically shied away from creating enough options, especially for people with deeper skin tones. Surveying the lack of consumers options in the market, Camille was inspired to create Pound Cake Cosmetics’s lipstick range. 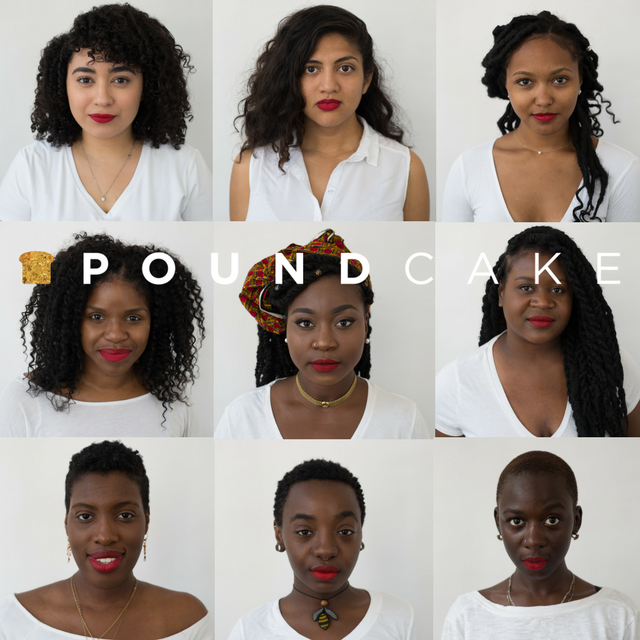 As Pound Cake Cosmetic’s slogan states, “We’re a cosmetic company that doesn’t f*ck with the current standards of beauty…” After successfully raising over $20,000 through Indiegogo, plus an additional $20,000 through pitch competitions, the brand will be debuting their first line of five red liquid matte lipsticks, made with specific lip tones in mind during the first half of 2019. 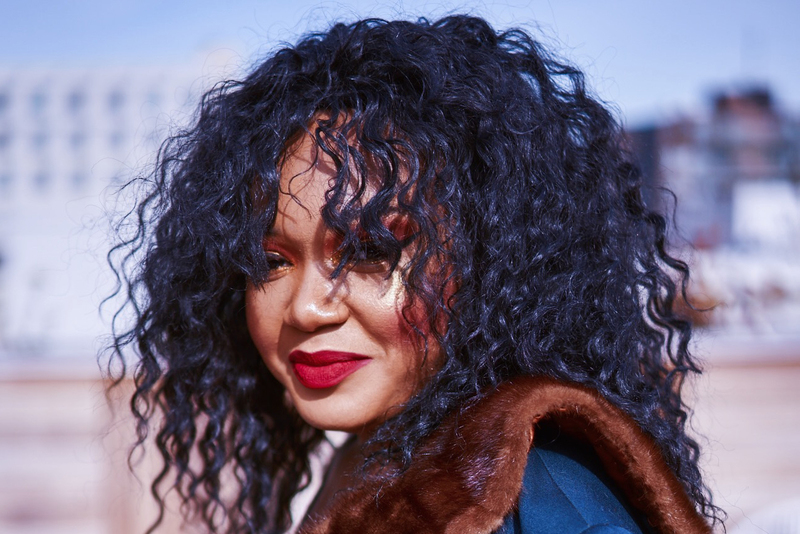 Camille spoke with CityWide about Pound Cake Cosmetics, the beauty industry, the challenges of being a CEO who is a woman of color, and a makeup trend that is entirely Philly. Pound Cake Cosmetics’s slogan is, “We’re a cosmetic company that doesn’t f*ck with the current standards of beauty…,” how would you say the standard of beauty has changed before and after the brand’s inception? We have not launched our products to the public as of yet. However, since the inception of Pound Cake in 2016, we have seen more brands attempt to be “inclusive” by either rushing out a line of darker foundations or flaunting a few marginalized models in their ads. While this does little to change the “standard of beauty,” it does show us that the standard for a modern beauty company has changed. Why start with red lipstick? We’re launching with red to challenge the stigma that black women and, more specifically, dark skin women should not wear red lipstick. This stigma has been around for so long and I have gotten sick of it! I personally love the color red. I feel red is a color that exerts freedom, power, and confidence—and that is part of what our brand stands for! What is the process like creating these shades? What was the most challenging aspect? We are still in the process of creating the formula and have not picked out shades yet. What I can say is, this process is LONG. We have been working with our lab since May 2018, so it’s been quite some time. My partner and I are flying out to the West Coast in mid-February to solidify our formulation and pick out colors. What my partner and I are doing now, is gathering a community of makeup artists and makeup enthusiasts to test our revisions and provide feedback. We are taking note of every lip tone combination we come across, and critique we are offered so our trip to the lab is productive. Do you think there are stigmas that get associated with women of color and women in general that wear makeup? I would say not as much as when I first started wearing makeup. People used to assume I wore makeup because I did not think highly of myself without it, or that I was more promiscuous and diva-like just because I enjoyed makeup. Now we see teens as young as 13 beating their face in confidence and coming up with some awesome works of art. The current climate of the makeup industry has consumers holding brands accountable for their lack of inclusivity. Do you think brands have any excuse to continue with their lack of inclusive options or can some brands have “niche” markets? The only excuse a brand has for not being inclusive is that they weren’t inclusive from the beginning. If you didn’t support, portray, and empower marginalized communities from your company’s inception, keep that same energy throughout your company’s growth. It’s easy for a brand to hire a few black models, plop them on their Instagram, and call themselves inclusive. This ultimately leaves people like me buying from companies that never cared about people like me. I think the companies that prioritize “niche” markets from the beginning, however few or many, are the only ones that genuinely care about those markets. How do you feel about beauty influencers? Beauty influencers are the new celebrities. Market research shows they are more trusted than celebrity ads and endorsements, and thus can make or break an entire company. Like most entrepreneurs, I understand the value of influencers. However, unlike most other entrepreneurs, I want to work with them rather than exploit them. What was your first introduction to makeup? What was your first product or brand? My high school friend, Renae, bought me my first eyeshadow palette for Christmas in ninth grade. Unfortunately, I was barely allowed to use it. Then when I arrived at Temple University, during Welcome Week, I went to the nearest Rite Aid and bought all the makeup I could think of! I think I was mainly using Cover Girl, L’Oréal, and Black Radiance during that time. How does it feel being a makeup user and also a creator of makeup? Do you view makeup differently than just the average makeup user? I think it is absolutely awesome! I know what problem I want to solve, while working on ways to achieve that. I believe I view makeup differently than the average makeup user—I have to! I am constantly looking at the opacity, film, moisture level, etc., of any product I use now, seeing how I can make Pound Cake products even better. Can you speak to the pressures of being not just a CEO, but a CEO who is a woman of color? What do you do to stay motivated? Being a CEO is tough in its own right. I handle all the day-to-day operations of my business, speaking with our lab, reaching out to influencers, posting to social media, responding to emails, attending events, managing our interns, and conducting research. Being a CEO who is also woman of color is extremely challenging! Because opportunities are scarce, the opportunities that are present are extremely competitive. As a woman of color entrepreneur, I have to have launched, have a certain number of customers, and scale the business before any investor will seriously look our way. I believe through time, there will be more opportunities and thus a shift in the right direction. Other cities like NYC, LA, Texas, and even Florida have strong associations with makeup or the beauty industry, why do you think Philly isn’t included? I have no clue. Philly isn’t really known for being solidified in anything. We’re kind of a tech city, we’re kind of a food city, we’re kind of a stressed city, we’re kind of a mean city, we’re kind of a fashionable city. I really don’t know, but I think we’ll change that. Is there a beauty trend that is inherently Philly? Yes, wearing no makeup with a glossed lip. What’s next for Pound Cake Cosmetics? We plan to launch and hit the ground running! We are currently implementing our pre-marketing plan and, as you know, finalizing our formulas. 2019 will be featuring Pound Cake.